Members of the Guild of Oca Breeders (GOB) aim to further the development and adaptation of oca (Oxalis tuberosa) to areas outside its traditional homelands, starting with the UK and northern Europe. Why set up a plant breeding club? Plant breeding is becoming more and more a domain of large agri-business, removing it from communities and public control. An “open source” breeding club, keeping new cultivars in the public domain for the benefit of all, would work to protect the interests of those exploring the future of the crop whatever their background and means. We will make sure we keep oca and our breeding programme in the public domain by linking to the Open Source Seed Initiative and other community initiatives. Optimisation of the breeding process, ensuring steady, meaningful progress and encouraging funders to support the project, will be achieved by the collaboration of amateurs and experts working in partnership with scientific institutions and other sympathetic organisations. Working together will enable a much faster evaluation of the varieties and a more rapid achievement of our goal; delicious, high yielding ocas that are easy to grow. Recurrent mass selection, the breeding method we use, is an extensive process by which large numbers of genetically variable seedlings are grown together; the best of these are selected and then allowed to cross-pollinate. The seeds they produce are grown out again and the best plants are once again selected. This cycle is continued until such time as superior varieties are developed or indefinitely as a way of continual crop improvement. It is probably the simplest of all plant breeding methods, yet it remains very effective. 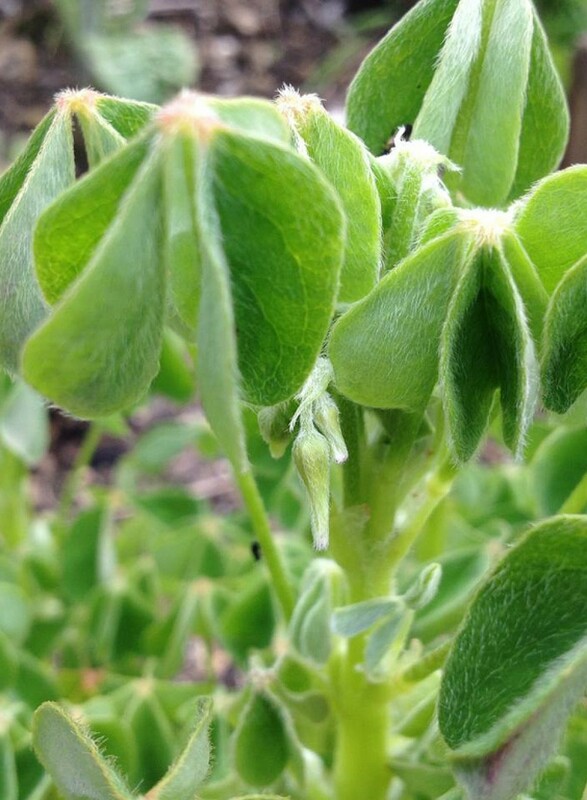 Members will grow as many plants as they feel able to look after, typically 12 or 24, and collectively test large numbers of oca seedlings. As they care for their plants they will evaluate the germplasm for useful and desirable traits such as early tuberisation, flowering ability and acceptable taste, reporting on all plants so that those that do not conform to the breeding aims are identified and rejected. They will return some tubers to the club for another round of breeding if required and keep any surplus ones for their own use. Members are taking part in a collaborative exercise within a community of like-minded individuals. They receive access to new varieties of oca tuber, may join the private Facebook group to discuss their work for the Guild and receive expert advice on cultivation and care of these novel crops. They also have the satisfaction of contributing to a real exercise in food security and science.